Get on Thailand's only extreme-boat and get your adrenaline pumping in a once in a lifetime experience. 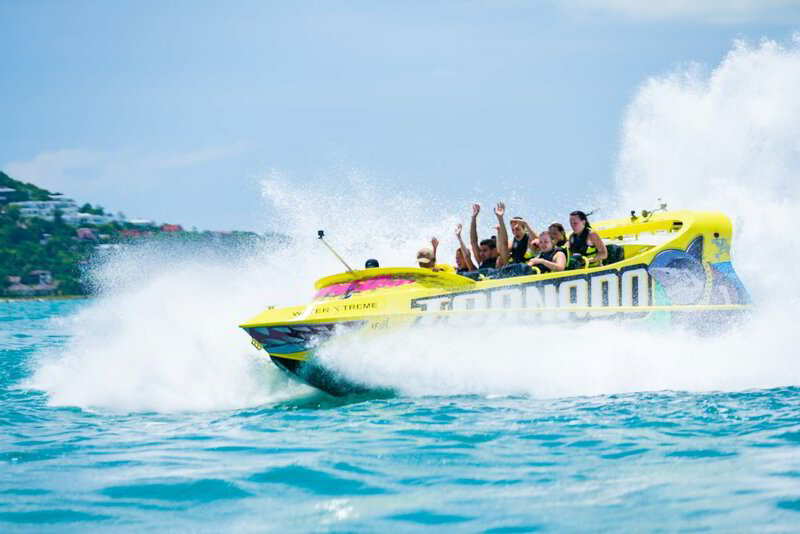 Speed up to 90Km/hr, 360 spins on the water, extreme stunts only this boat can handle. The only boat in the World able to submerge in & out. Rides of 20 minutes around the beautiful virgin island of Koh Som. KohPlanner best deal guarantee: Only on KohPlanner you get the experience video recording (on-board cam) FREE. KohPlanner Group Special: Rent the boat for your group at a special price. Maximum capacity 12 persons per experience. Minimum age: 9 years (anyone under 15 years old must be accompanied by an adult). We required minimum of 8 guests to run this tour. If we did not reach the minimum required the day before the tour until 18:00, we will contact you and either you can reschedule the tour time or to get a full refund.